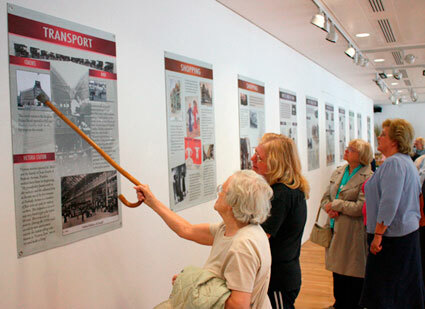 This exhibition was based on the experiences of people living in Pimlico and archive photos from Westminster Archives and Imperial War Museum. It told the story of the area from the 1920s to the present day. Many of the participants who shared their memories belonged to the Westminster Community Reminiscence and Archive Group - see Residencies. Commissioned by Westminster Archives and exhibited at the SW1 Gallery.